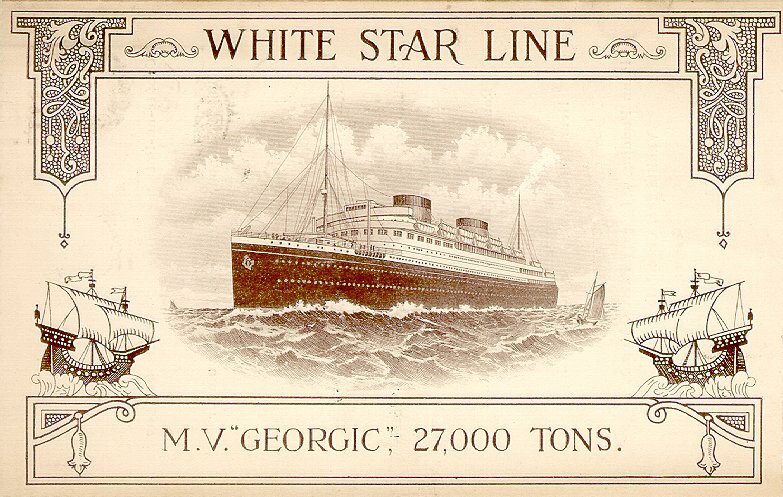 White Star's last liner, the second Georgic, was a diesel powered motor vessel rather than a steamer. 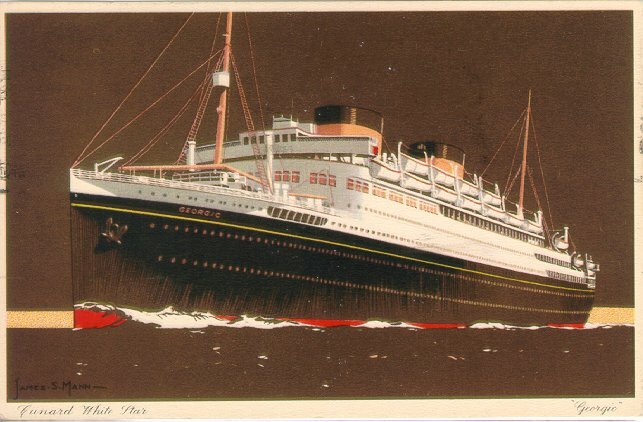 She was built by Harland and Wolff, Belfast and launched in 1931. 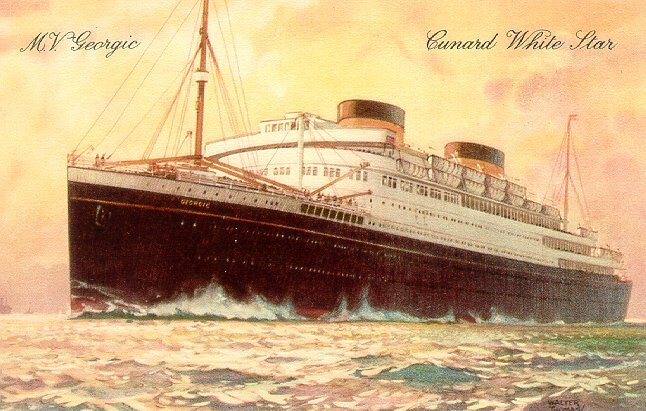 After her 25 June 1932 maiden voyage from Liverpool to New York, Georgic ran on that route during the summer and cruised out of New York in the winter. In 1935, about a year after the Cunard-White Star merger, Georgic moved to London, and remained there until 1939. She then returned to Liverpool before being requisitioned as a troopship in 1940. In July 1941, at Port Tewfik, on the Gulf of Suez, Georgic was bombed by German aircraft, caught fire and was severely damaged. More than three years of repairs followed at Port Sudan, Karachi, Bombay and Belfast. The repairs had a substantial effect on Georgic's appearance, since her forward funnel (a dummy) and mainmast were removed, and her foremast was cut down significantly. 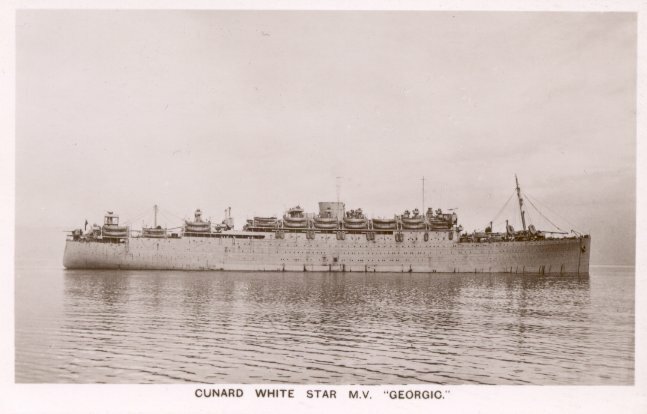 After some additional trooping and emigrant service in 1955, Georgic was broken up in 1956. Sources: Haws' Merchant Fleets; Bonsor's North Atlantic Seaway; Eaton and Haas' Falling Star.